The Matégot trolley by Gubi was designed in 1953 and 1954 by Mathieu Matégot, and is a practical trolley made of perforated metal and steel tubes. The metal sheet is bent with the innovative Rigitulle technique, which the designer came up with himself. Its technology makes it possible to bend sturdy metal like light tulle. 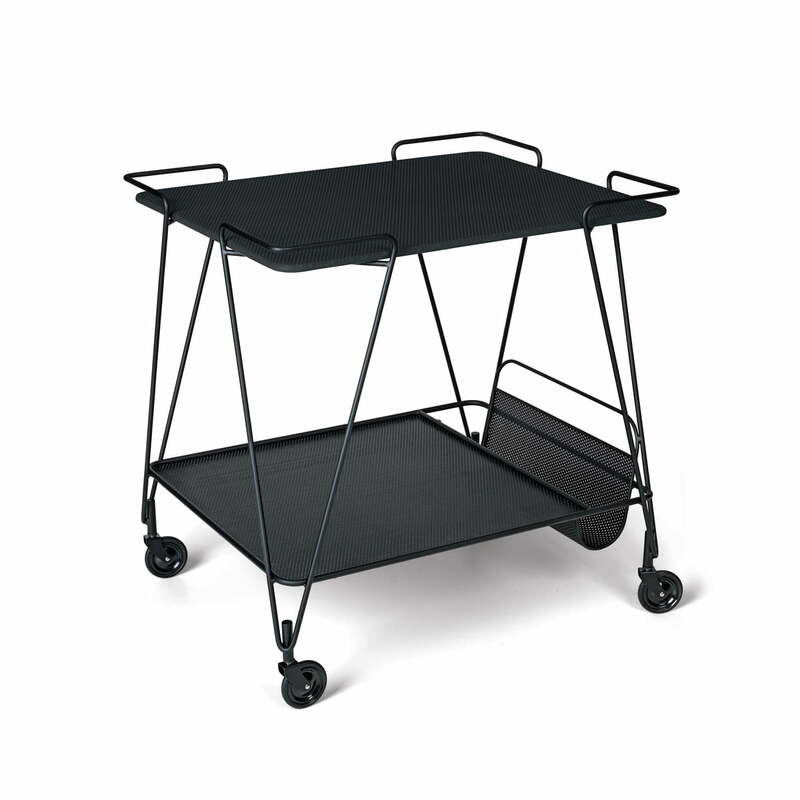 The trolley has two surfaces, a magazine rack and four wheels, making it versatile and mobile. While the upper shelf is available in various colours, the frame and the lower shelf are lacquered black. The magazine holder made of metal sheet is a great example of the Rigitulle technique and the wheels ensure a light appearance, which makes the trolley look weightless. Thanks to its flexibility and its timeless appearance, the trolley is outstanding in almost every interior and in both private and public spaces. The serving trolley can be used for glasses, drinks and magazines as well for storage or decorative purposes, such as with books and various home accessories. Isolated product image: The Matégot trolley by Gubi was designed in 1953 and 1954 by Mathieu Matégot, and is a practical trolley made of perforated metal and steel tubes. 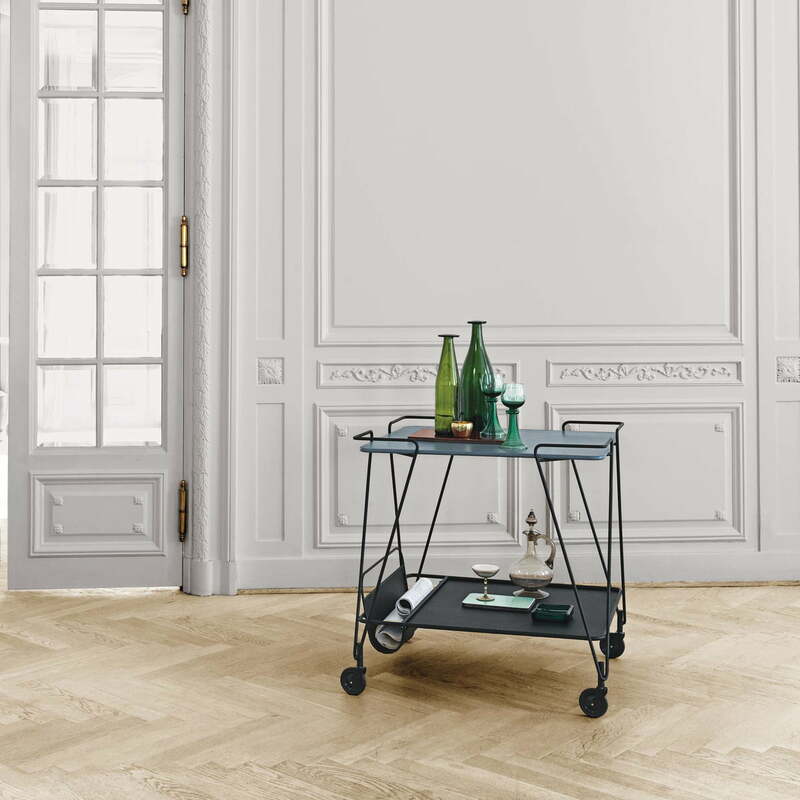 Lifestyle product image: Thanks to its flexibility and its timeless appearance, the trolley is outstanding in almost every interior and in both private and public spaces. 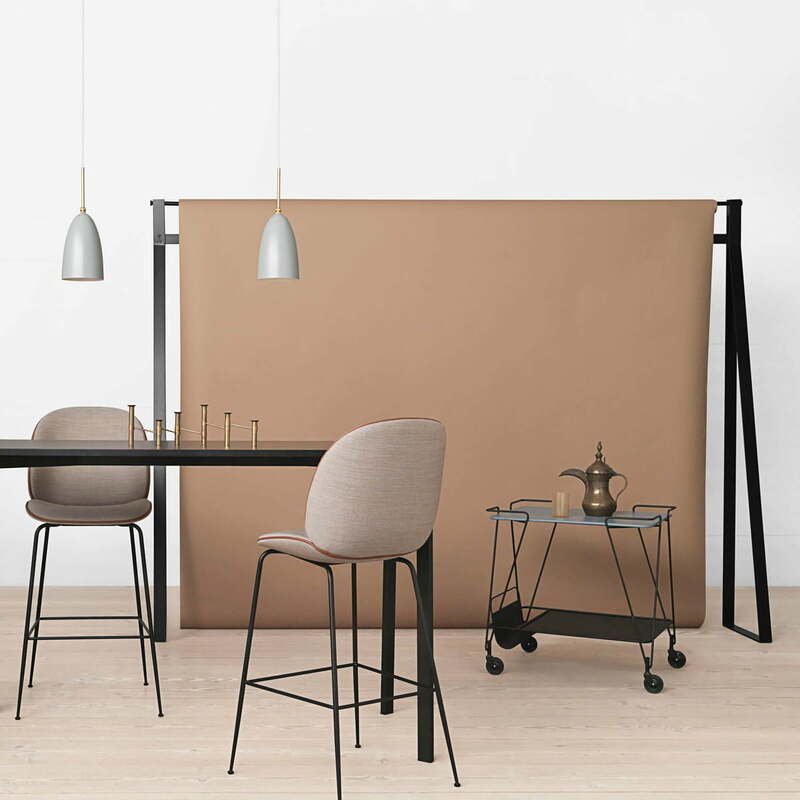 Lifestyle product image: Thanks to its two surfaces and four wheels, the Matégot trolley by Gubi is suitable as a versatile bar in your own living or dining room.